M.R. Shakibaie earned his PhD from University of Pune India from 1992 to 1997. His thesis was lecular genetics of Plasmid Mediated Silver and Antibiotic Resistances in Acinetobacter baumannii”. He completed one year Postdoctoral research training at Aquatic Microbial Lab in Mysore, India during 2006. His research title was Horizontal Gene Transfer in Gram Negative Bacteria. 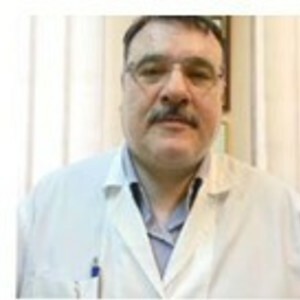 Dr. Shakibaie Joined the Department of Microbiology, Kerman University of Medical Sciences in 1998. He has published more than 45 original research papers in different International peer reviewed journals with high impact factors in microbiology and biotechnology. The total impact factor of his research is more than 68, with h-index 11 and i10-index 12. His work is cited more than 296 times (www.scholar.google.com). The research gate score index is 21.85. His work also has been cited in 3 textbooks of microbiology published from USA and Europe. He has presented more than 42 papers in International and National Conferences. He has made fundamental contributions in the area of gene transfer, plasmid biology, molecular microbiology, nanomicrobiology. He is on the editorial board of number of peer reviewed journals in Iran and abroad. He has successfully supervised 2 Ph.D., and 1 Post-Doctoral scholars for their research. Currently 2 Ph.D. students are working with him.